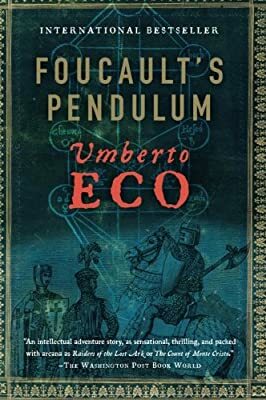 Author: Eco, Umberto Set In . . . Bored with their work, three Milanese editors cook up "the Plan," a hoax that connects the medieval Knights Templar with other occult groups from ancient to modern times. This produces a map indicating the geographical point from which all the powers of the earth can be controlled?a point located in Paris, France, at Foucault’s Pendulum. But in a fateful turn the joke becomes all too real, and when occult groups, including Satanists, get wind of the Plan, they go so far as to kill one of the editors in their quest to gain control of the earth.